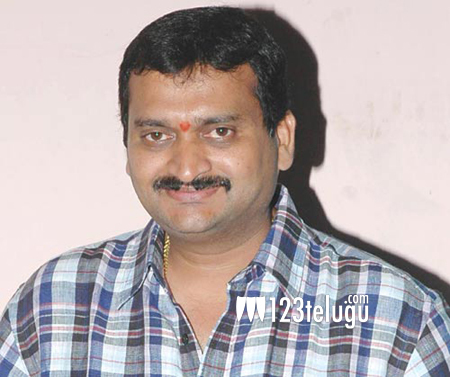 Fondly called as ‘Blockbuster Producer’, Bandla Ganesh is aiming big for his upcoming film, ‘Temper’. Yesterday, Bandla Ganesh took to his Twitter profile and expressed his determination in making the film nothing less than a blockbuster. ”Now my ‘AIM’ my ‘DREAM’ my ‘GOAL’, Its to make TEMPER!!! BLOCKBUSTER HIT!!! !”, he said. This caught the attention of NTR and Puri Jagannadh’s fans, and they have been praising Bandla Ganesh’s determination. Already, the fans’ expectations on ‘Temper’ are sky-high after the first look stills and the recent teaser were released to a thumping response. The film is into its final leg of shooting and the audio launch will take place in January end. NTR plays the role of an intense cop, and Kajal plays his lady love. Puri Jagannadh directs this high voltage action entertainer.